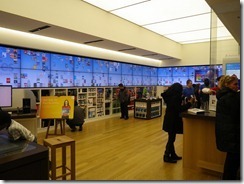 After visiting the MS Store I discovered the Apple Store (50 m) away from Ms Store, and here is the point : it’s the same. So once again rather than inovating they just copy Apple communication (and telling it I think about the “I’m a PC” campaing opposite to the “I’m a Mac” campaign). 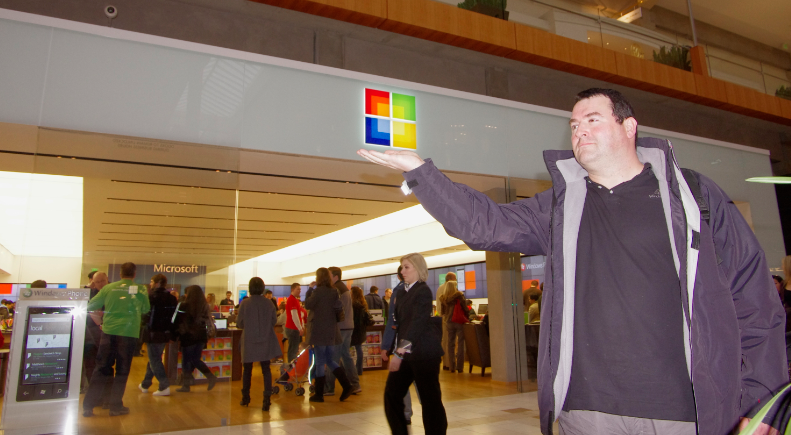 Marketshare, openning of Microsoft Products, regual inovation from Microsoft research need more than copy of Apple ideas !!! 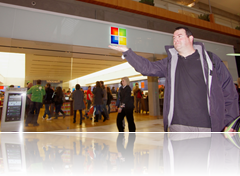 Hey Microsoft shake yourself ! 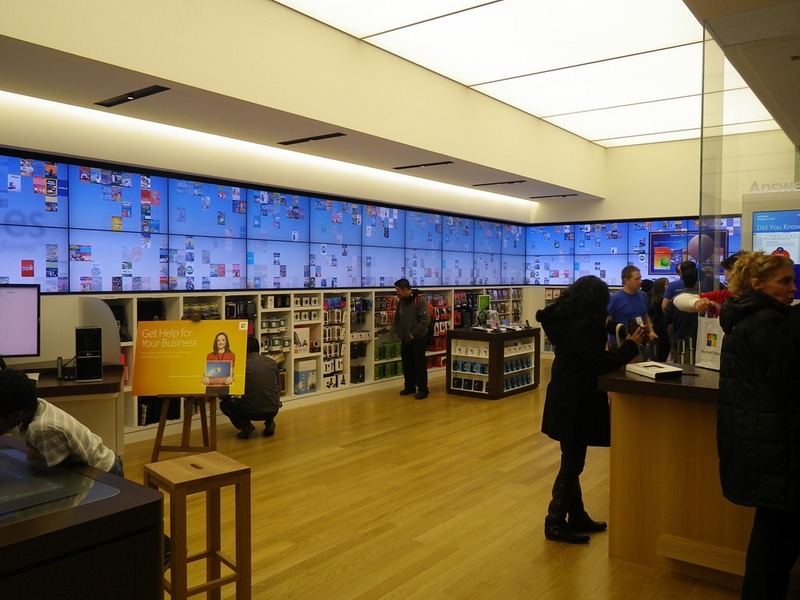 1 comment to Visiting Microsoft Store in Bellevue : where’s the creativity ?